Match ends, Vitesse 5, FC Twente 1. 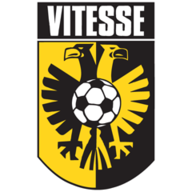 Second Half ends, Vitesse 5, FC Twente 1. Offside, Vitesse. Denys Oliynyk tries a through ball, but Mitchell van Bergen is caught offside. Joachim Andersen (FC Twente) wins a free kick in the defensive half. Offside, FC Twente. Hidde ter Avest tries a through ball, but Micheal Olaitan is caught offside. Micheal Olaitan (FC Twente) wins a free kick in the defensive half. Attempt missed. 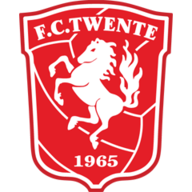 Micheal Olaitan (FC Twente) header from the centre of the box misses to the left. Assisted by Hakim Ziyech with a cross following a corner. Corner, FC Twente. Conceded by Kevin Diks. Substitution, Vitesse. Mitchell van Bergen replaces Milot Rashica. Corner, FC Twente. Conceded by Marvelous Nakamba. Jerson Cabral (FC Twente) wins a free kick on the right wing. Hakim Ziyech (FC Twente) wins a free kick in the attacking half. Goal! Vitesse 5, FC Twente 1. Denys Oliynyk (Vitesse) header from very close range to the top right corner. Substitution, Vitesse. Denys Oliynyk replaces Isaiah Brown. Attempt missed. Chinedu Ede (FC Twente) left footed shot from the left side of the box misses to the right. Assisted by Jerson Cabral with a cross. Attempt saved. Hakim Ziyech (FC Twente) left footed shot from outside the box is saved in the centre of the goal. Assisted by Kamohelo Mokotjo. Substitution, Vitesse. Lewis Baker replaces Valeri Qazaishvili. Kamohelo Mokotjo (FC Twente) wins a free kick in the defensive half. Offside, FC Twente. Joel Drommel tries a through ball, but Micheal Olaitan is caught offside. Offside, Vitesse. Marvelous Nakamba tries a through ball, but Milot Rashica is caught offside. Attempt missed. Hakim Ziyech (FC Twente) left footed shot from the right side of the box is close, but misses to the left. Assisted by Jerson Cabral. Offside, FC Twente. Chinedu Ede tries a through ball, but Micheal Olaitan is caught offside. Substitution, FC Twente. Hidde ter Avest replaces Robbert Schilder. Dominic Solanke (Vitesse) wins a free kick in the attacking half. Foul by Bruno Uvini (FC Twente). Foul by Micheal Olaitan (FC Twente). Attempt saved. Chinedu Ede (FC Twente) left footed shot from outside the box is saved in the centre of the goal. Assisted by Jerson Cabral. Substitution, FC Twente. Chinedu Ede replaces Renato Tapia. Foul by Valeri Qazaishvili (Vitesse). Felipe Gutiérrez (FC Twente) wins a free kick in the defensive half. Offside, Vitesse. Kelvin Leerdam tries a through ball, but Milot Rashica is caught offside. Corner, Vitesse. Conceded by Kamohelo Mokotjo. Corner, Vitesse. Conceded by Joachim Andersen. Attempt blocked. Isaiah Brown (Vitesse) right footed shot from outside the box is blocked. Assisted by Dominic Solanke. Corner, Vitesse. Conceded by Robbert Schilder. Kevin Diks (Vitesse) wins a free kick on the right wing. Foul by Jerson Cabral (FC Twente). Goal! Vitesse 4, FC Twente 1. Milot Rashica (Vitesse) right footed shot from the centre of the box to the bottom right corner. Assisted by Isaiah Brown with a cross. Goal! Vitesse 3, FC Twente 1. Dominic Solanke (Vitesse) right footed shot from very close range to the bottom right corner. Delay in match Renato Tapia (FC Twente) because of an injury. Foul by Arnold Kruiswijk (Vitesse). Renato Tapia (FC Twente) wins a free kick in the attacking half. Jerson Cabral (FC Twente) wins a free kick in the defensive half. Foul by Renato Tapia (FC Twente). Attempt saved. Marvelous Nakamba (Vitesse) left footed shot from outside the box is saved in the bottom right corner. Hakim Ziyech (FC Twente) wins a free kick on the right wing. Hand ball by Milot Rashica (Vitesse). Second Half begins Vitesse 2, FC Twente 1. First Half ends, Vitesse 2, FC Twente 1. Goal! Vitesse 2, FC Twente 1. Hakim Ziyech (FC Twente) left footed shot from the centre of the box to the high centre of the goal. Assisted by Jerson Cabral with a cross. Attempt missed. Micheal Olaitan (FC Twente) header from the centre of the box misses to the right. Assisted by Felipe Gutiérrez with a cross. Foul by Isaiah Brown (Vitesse). Peet Bijen (FC Twente) wins a free kick on the right wing. Kelvin Leerdam (Vitesse) wins a free kick in the defensive half. Foul by Hakim Ziyech (FC Twente). Attempt missed. Renato Tapia (FC Twente) header from the centre of the box is high and wide to the right. Assisted by Felipe Gutiérrez with a cross. Corner, FC Twente. Conceded by Sheran Yeini. Attempt blocked. Felipe Gutiérrez (FC Twente) left footed shot from the centre of the box is blocked. Corner, FC Twente. Conceded by Maikel van der Werff. Attempt blocked. Hakim Ziyech (FC Twente) left footed shot from outside the box is blocked. Foul by Joachim Andersen (FC Twente). Offside, FC Twente. Joachim Andersen tries a through ball, but Micheal Olaitan is caught offside. Attempt saved. Felipe Gutiérrez (FC Twente) left footed shot from a difficult angle on the right is saved in the bottom right corner. Assisted by Peet Bijen. Attempt missed. Isaiah Brown (Vitesse) right footed shot from outside the box is too high. Goal! Vitesse 2, FC Twente 0. Milot Rashica (Vitesse) right footed shot from the right side of the box to the bottom right corner. Assisted by Marvelous Nakamba. Foul by Felipe Gutiérrez (FC Twente). Attempt blocked. Hakim Ziyech (FC Twente) left footed shot from outside the box is blocked. Assisted by Kamohelo Mokotjo. Goal! Vitesse 1, FC Twente 0. Valeri Qazaishvili (Vitesse) header from very close range to the high centre of the goal. Assisted by Kevin Diks with a cross. Attempt blocked. Valeri Qazaishvili (Vitesse) right footed shot from the centre of the box is blocked. Assisted by Isaiah Brown. Foul by Milot Rashica (Vitesse). Robbert Schilder (FC Twente) wins a free kick on the left wing. Attempt missed. Maikel van der Werff (Vitesse) right footed shot from outside the box misses to the left. Kelvin Leerdam (Vitesse) wins a free kick on the left wing. Attempt missed. Hakim Ziyech (FC Twente) left footed shot from outside the box is just a bit too high from a direct free kick. Jerson Cabral (FC Twente) wins a free kick in the attacking half. Offside, Vitesse. Valeri Qazaishvili tries a through ball, but Isaiah Brown is caught offside. Attempt blocked. Valeri Qazaishvili (Vitesse) right footed shot from the left side of the box is blocked. Assisted by Kelvin Leerdam.